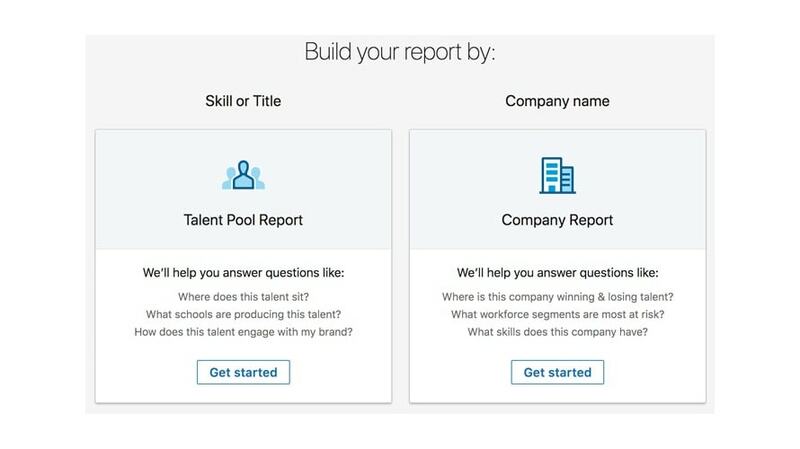 Better late than never: LinkedIn announced last October that it would roll out Talent Insights, a self-service tool to give recruiters access to rich data on talent pools and companies, in the summer of 2018 and, while the summer is over, Talent Insights is now here. 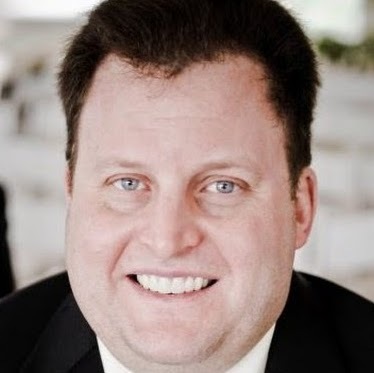 Head of product, talent insights and talent brand Eric Owski said in a blog post that Talent Insights is the professional network’s first self-serve data product to tap into its network of more than 575 million professionals, over 20 million companies and 15 million-plus active job listings. Deliver data on demand: Give human resources leaders and talent professionals the ability to answer complex talent questions in minutes. Sourcing strategy: Recruiters can see areas where large numbers of people matching the positions they are trying to fill are located—as well as other details, such as which companies are employing them and their skills—helping them optimize their recruiting efficiency. 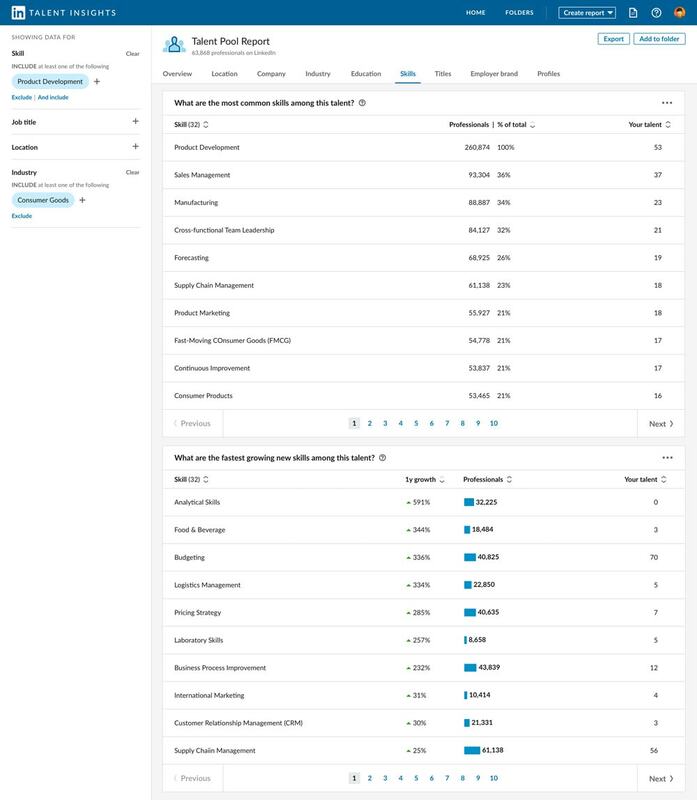 Workforce planning: The Company Report can be used to understand the fastest-growing locations, roles and skills at a company—the user’s own company, or its competitor—and the Talent Pool Report can be used to compare a company with the national averages. 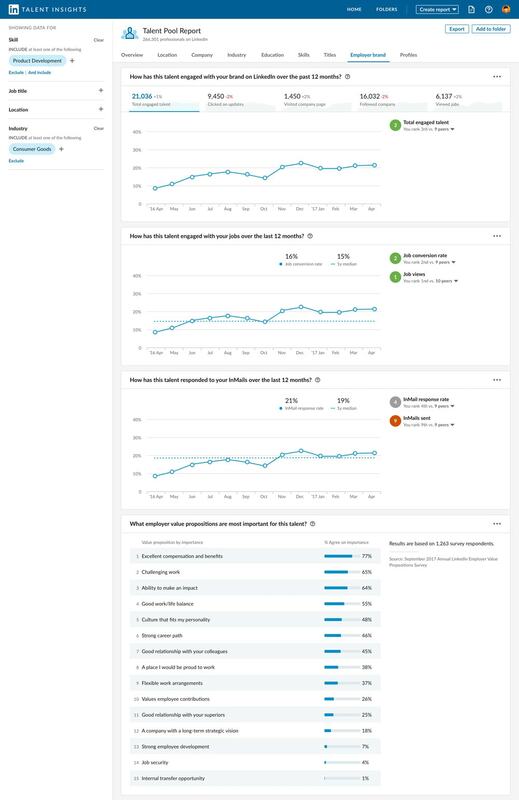 Competitive intelligence: The Company Report can be used to gather information on a company and its competitors by title, talent flow (where employees are coming from or going, what regions are they focusing their recruiting on), skill inventory, attrition and education. 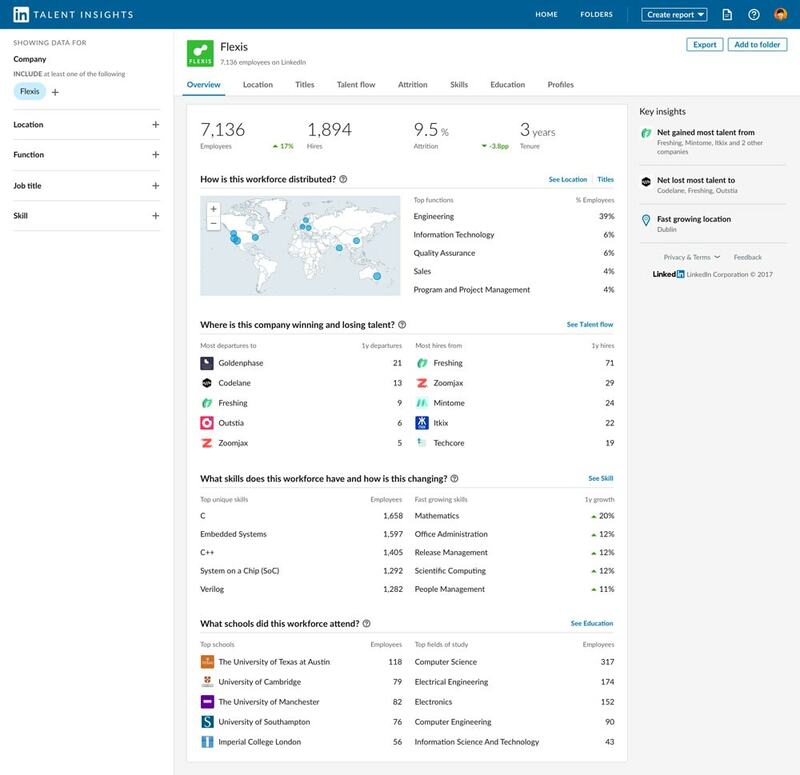 Employer branding: The Employer Brand tab in the Talent Pool Report provides access to ways talent is engaging with the company’s brand on LinkedIn, including updates they have clicked on, visits to the company page, whether or not they follow the company and the number of its jobs they have viewed. 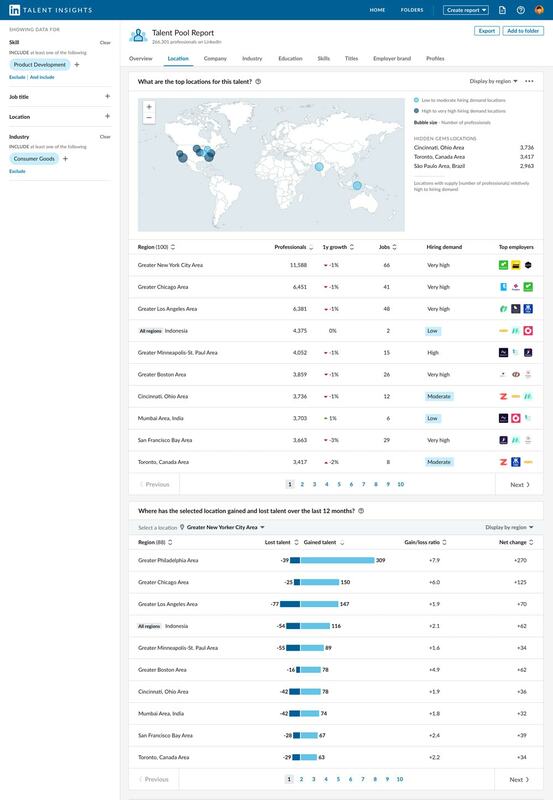 Geolocation decisions: The Location tab in the Talent Pool Report can be used to determine the countries, regions or cities with a large enough supply of talent in a company’s core job functions to support expansion, while the Employer Brand tab can be used to analyze the company’s performance on LinkedIn in those regions.